To learn how to prepare South Indian sweets, you can follow a few simple steps derived from a South Indian confectionery guide. Laddu is a South Indian sweet that takes few ingredients to prepare compared to many other sweets. You’ll need 500gm of gram flour, 625 gm of sugar, 100gm of cashew nuts, 2 tablespoons of rice flour, some ghee, salt, raisins and spices like cardamom and cubed sugar. First, you’ll need to prepare the fried flour balls. Mix all the flour, salt and ghee with water to make a creamy batter. In a frying pan, heat oil, then drip the batter onto the oil through a ladle with holes. Cook the droplets in oil and then drain the excess oil. Now you must prepare the Laddu by boiling sugar syrup and then dropping the roasted flour balls into the syrup. Add cashew nuts and raisins roasted in ghee. Then, mix in the cardamom and cube sugar and allow the mixture to cool slightly. Next, roll out Laddu balls with your hands and spread on a grease- proof paper. Allow the Laddu to cool naturally before consuming. You may be interested to learn how to prepare South Indian sweets like Payasam which is served for celebrations and festivals throughout South India. First, boil 2 liters of milk and add 200 grams of rice. Now, cook the rice until the milk is thick and the rice is cooked well. Add spices like cardamom and nutmeg. Include a few strands of vermicelli. Then, stir in sweet brown sugar and remove from fire. When you have garnished with almonds and pistachios, the South Indian sweet you have prepared is ready to be served. 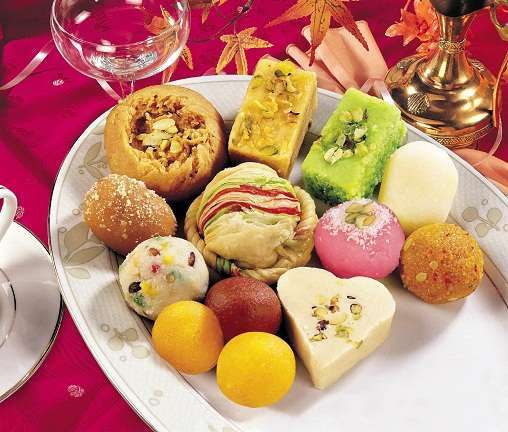 Knowing how to prepare South Indian sweets is one of the most basic requirements of traditional brides in South India. Preparing sweets is an excellence that is commonly learned by the bride from her mother. This knowledge is richly displayed when the bride resides in the home of her in-laws where she cooks the meals and prepares sweets for her new family. Learning how to prepare South Indian sweets is quite a simple affair. You can learn to prepare two famous South Indian sweets, Laddu and Payasam, in your home with a few simple ingredients. Your whole family can enjoy the sweets that you have prepared for dessert or as part of the delicacies served on festival days.